All throughout the internet you will find different kinds, styles of making Christmas tree. 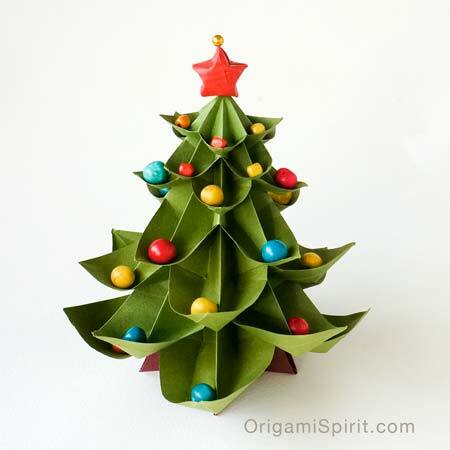 Among the best 3 dimensional Origami Christmas tree I found are listed here. You can pick your own designs, color and styles that best suits your needs. Holiday is near, you can start making today. 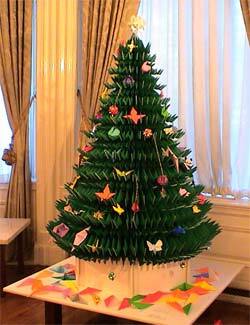 This life size Origami Christmas tree is made by British embassy for exhibition in Japan. They call it ambitious project. 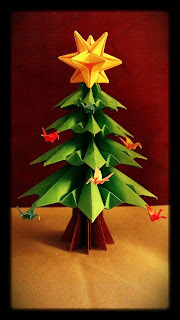 Its made up of 250 sheets of 20x30 inch of paper. It stood about 71 inches tall (not including the table) and 48 inches across and weighing 42 pounds. 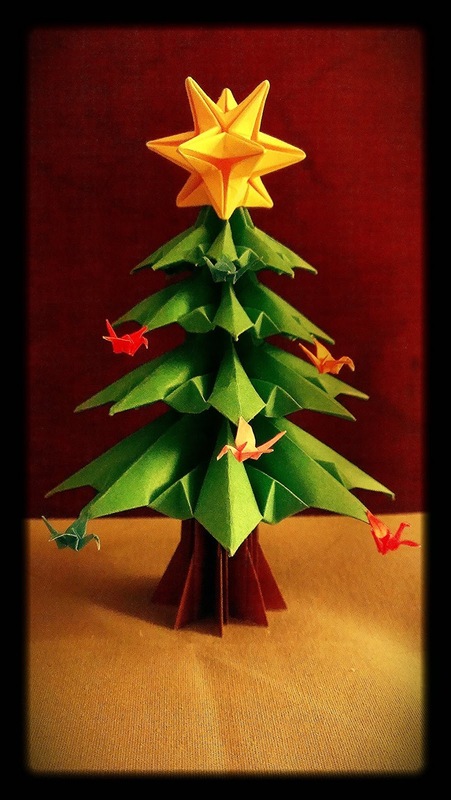 This medium size origami is from Deviant art. 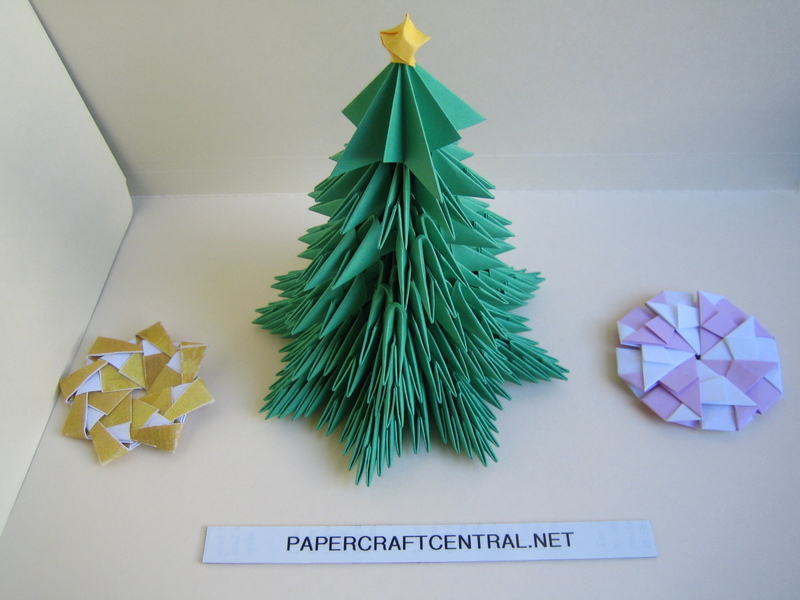 Folded in three parts, the star, the leaves, the three and some decorative origami. find tutorial of making this.